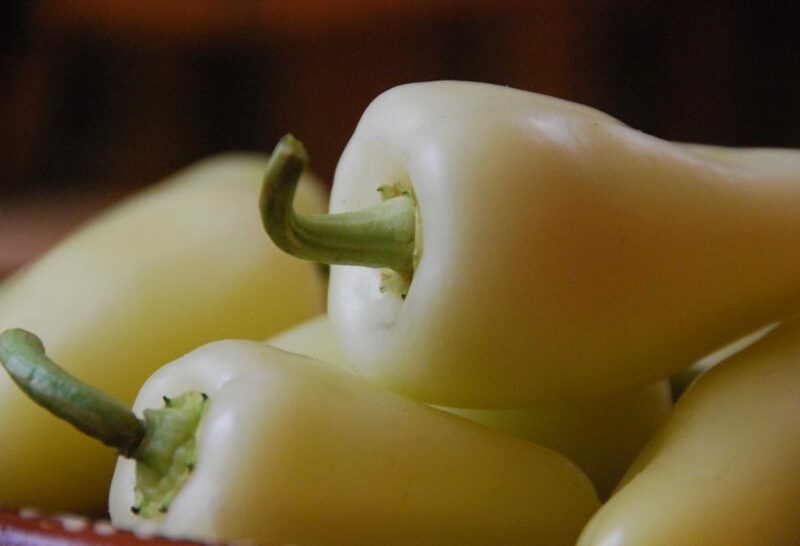 Banana peppers are called chiles güeros in many regions of Mexico. Güero, translates to blond, name given because of their pale, yellowish color. There are different varieties or banana peppers, but they are pale and light in looks, have waxy skin, and a similar flavor to Jalapeños. Their heat level can range from mild to hot. There is a variety of banana peppers different from the one in this photo, that is a bit more elongated in shape, which is very popular for pickling. Banana peppers are sold in many stores in the DC-MD-VA area, but if you are unable to find them, you can substitute with Jalapeños. HOLA: THANK YOU FOR YOUR INFORMATION. I`M GOING TO TRY THOSE PLACES. I SEE A LOT OF CHILIS BUT NOT THE GUEROS. I WILL ASK. I WANT TO KNOW WHERE I COULD BUY THIS CHILI GUERO? [BANANA PEPPERS] HERE IN CENTRAL FLORIDA. Hola Elis, Thank you so much for writing to me! Banana peppers should be available in grocery stores in your area. Or, Latin markets are always a good bet.